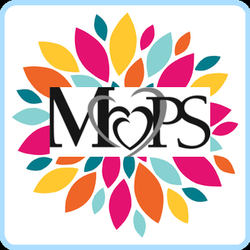 MOPS stands for Mothers of Preschoolers, and by preschoolers, we mean kiddos from birth to kindergarten. We believe that better moms make a better world, and we are committed to making sure every mother knows she’s not alone. MOPS groups allow you to meet and build friendships with moms in your local community. You are invited to our MOPS program, where you will experience authentic community, mothering support, personal growth, and spiritual hope to help you be the best Mom possible. The group will meet on the 2nd Friday of every month, from 9:30-11:30 am, during the school year. Breakfast is served and childcare is available. Visitors are always welcome! If you plan on attending, please contact Emily Hachman at emily@chandlerbc.org so we know how to plan for childcare. Call 781-2011 or email office@chandlerbap.org for more information.